Please find attached agenda for the General Meeting to be held at the Roma Administration Centre on September 25, 2013 at 9.00am. 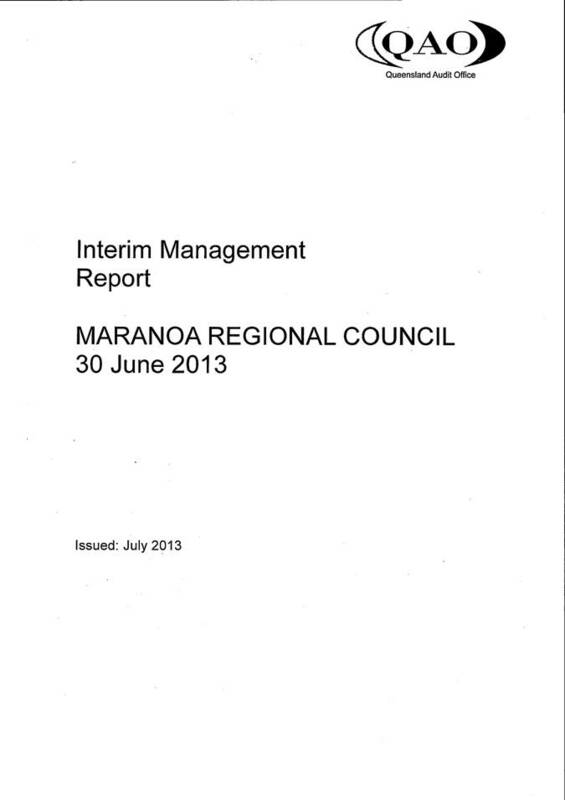 A copy of Council’s draft Financial Statements for the financial year ending 30 June 2013 compiled in accordance with Sections 176-177 of the Queensland Local Government Regulation 2012 , is provided to Councillors for the purpose of seeking Council’s endorsement for their presentation to the Queensland Audit Office. 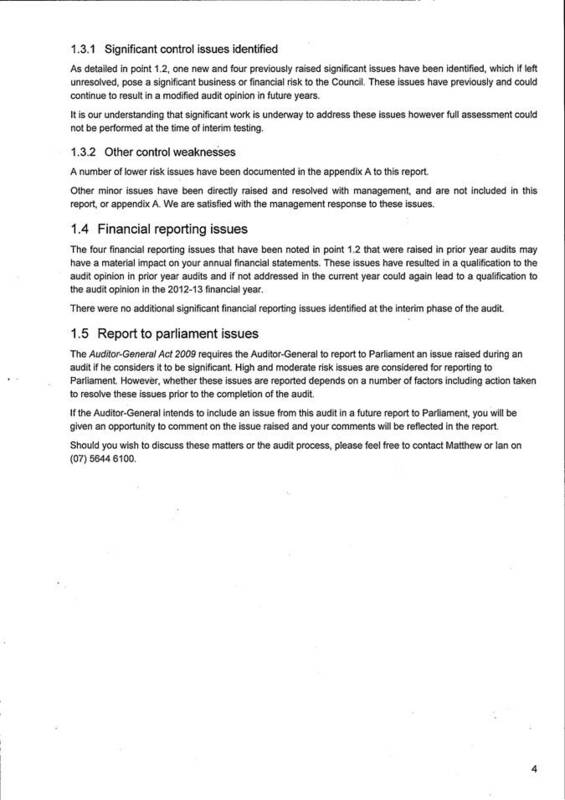 These statements were provided to Council’s Audit Committee for review and endorsement on 12 September 2013. 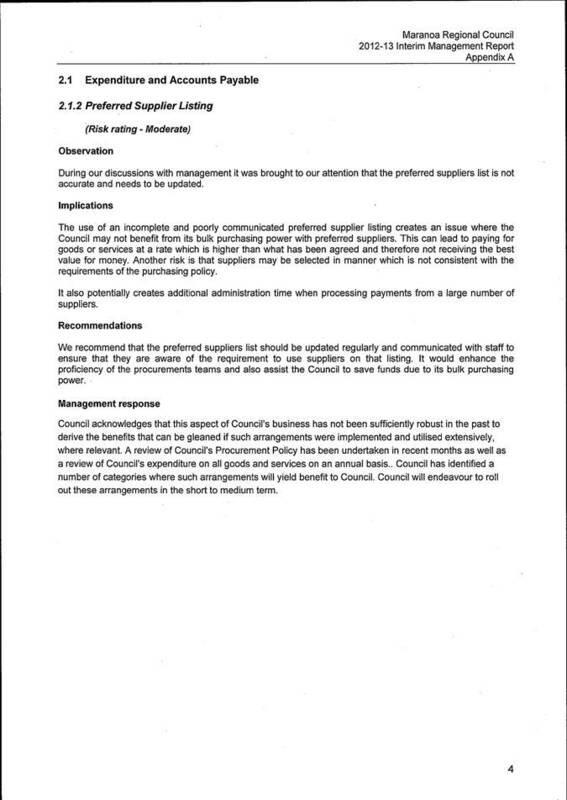 A copy of the unconfirmed minutes will be circulated to Councillors. 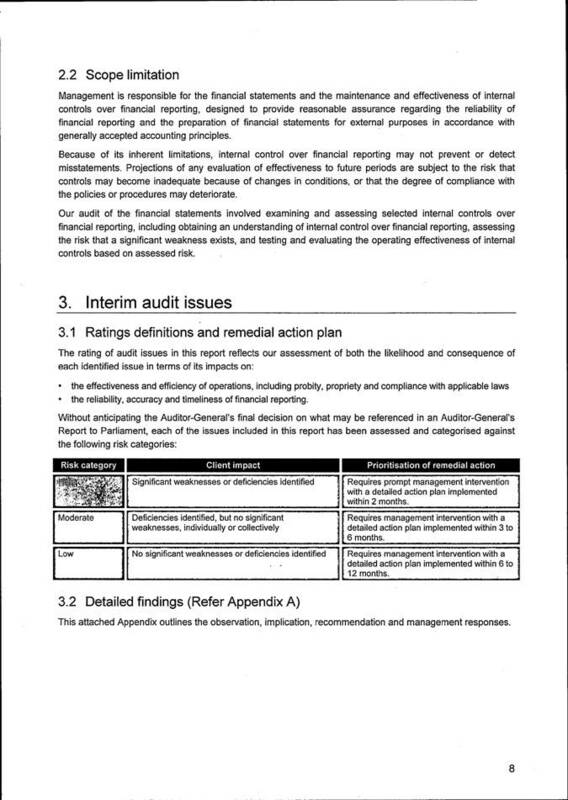 Council’s operating result for the year ended 30 June 2013, after taking into account transfers to and from reserves as well as an adjustment for unfunded depreciation, will not adversely impact upon Council’s capacity to deliver planned projects in 2013/14. Also included in the transfers is an allowance of $4.8 million to fund carry forward capital projects not completed in 2012/13. 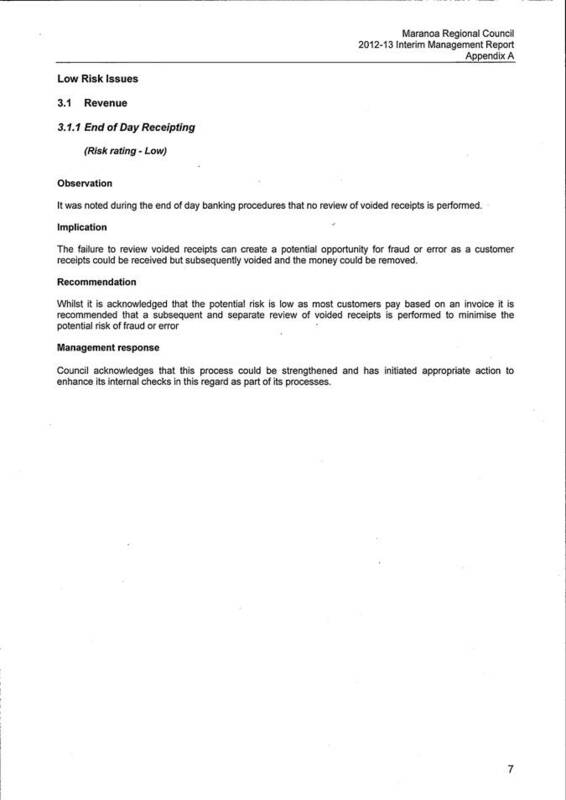 Flood damage activities in 2012/13 continued to have a major impact on Council’s financial operations and accounted for approximately $32.5 million in revenue and $50 million in expenditure. Council was paid an advance for these restoration works in 2011/12 and $18.8 million was released from reserve monies for this purpose in 2012/13. Council’s current reserves, apart from monies reserved to account for flood damage advance payments, for both capital and recurrent purposes have grown in 2012/13 by $7 million. 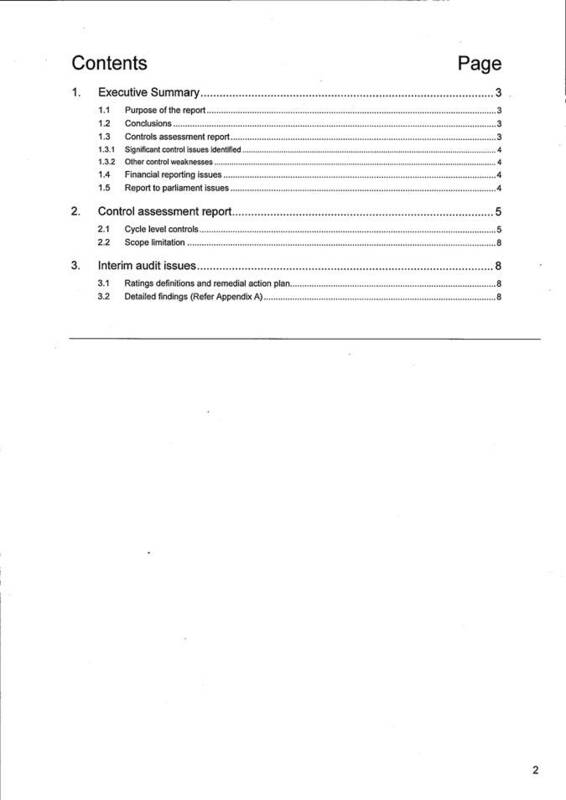 The details of these transfers are evidenced in Note 23 of the statements. 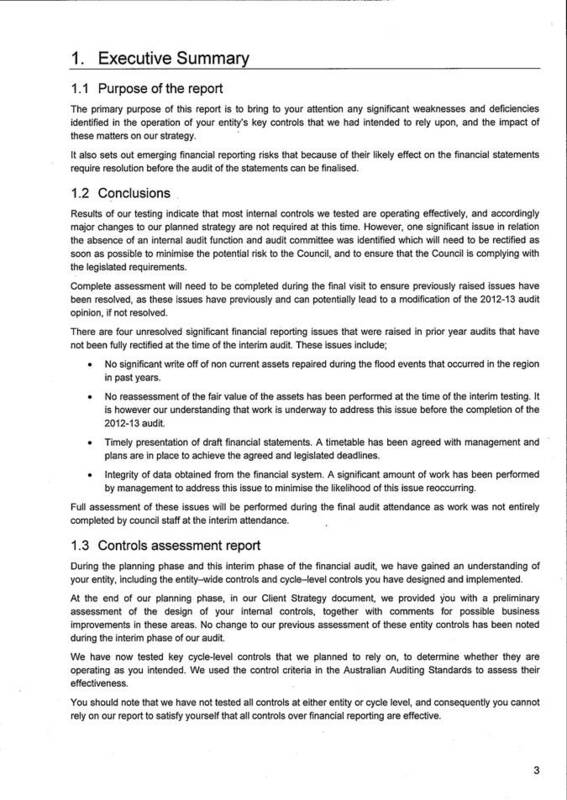 During 2012/13 a desktop revaluation of all categories of Council’s assets, with the exception of Plant and Equipment, was undertaken together with an evaluation of Council’s impairment on its road assets network by APV Valuers and Asset Management. The overall assessment resulted in a movement in Council’s carrying value of its non-current assets of $25 million. 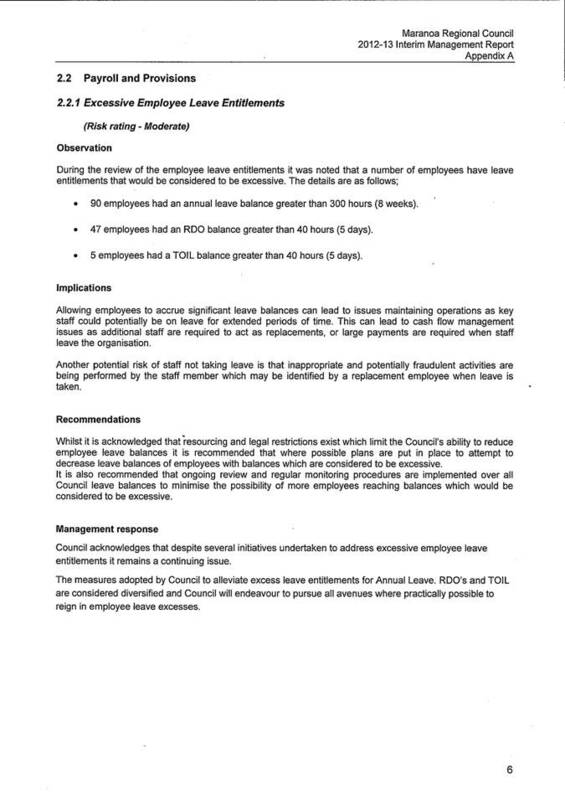 Councillors can view these movements in Note 23 and the Statement of Comprehensive Income. Council is required to comply with the legislative provisions as prescribed under the Qld Local Government Act 2009 (as amended) and the Qld Local Government Regulations 2012, specifically Sections 176-178. Council’s current policies are consistent with relevant State legislation provisions. Provision has been made in Council’s budget to provide for the fees as determined by the Qld Audit Office for the conduct of Council’s annual external audit as well as attendance fees for members of Council’s Audit Committee. That Council consider the request for financial support for those landholders in the region that are experiencing extreme financial difficulty and have little or no access to domestic water supply. The Rural Financial Counseling Reference Group met for their monthly meeting on 19 September 2013, to discuss current concerns with respect to extremely difficult living conditions experienced by a number of residents in rural and remote areas across the region due to the impacts of drought. Many of these residents are struggling to accommodate the cost of day to day living due in part to their remote location to townships and their reliance on the land for income generation. A number of property owners are carting water for livestock from their bores to outer water troughs as dams have run dry. More pressing is a number of residents have run out or are running out of household water with rain water tanks empty or near empty. Some of these households are not in a financial position to purchase water or pay transportation costs given their remote location and access to service. The committee has requested that Council co-ordinate the provision of domestic water supply to needy clients free of charge. This being the provision of water via water truck, driver and fuel for the trucks. 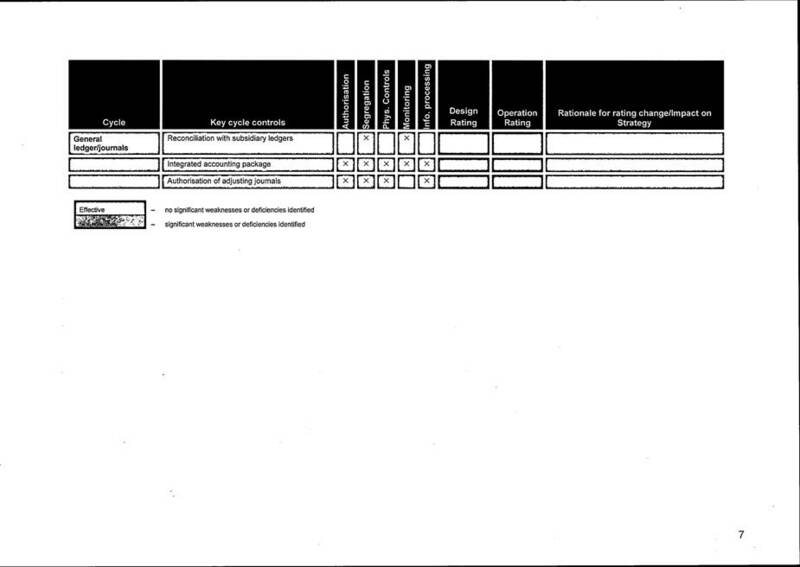 Details of the request are attached for review. There are no financial implications for Council who are seeking financial assistance from the State in support of residents in need of assistance. · Building international economic development partnerships with the Town of Olds and Mountain View Country, Alberta, Canada. 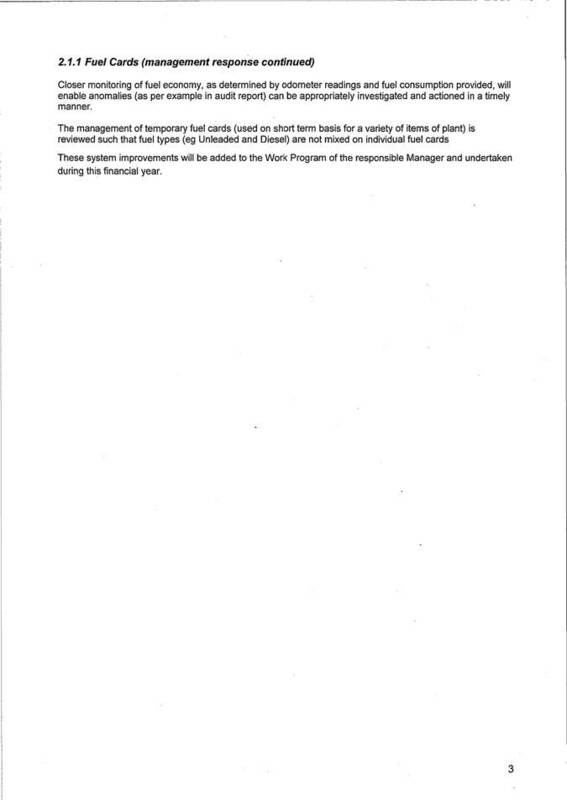 A report was provided to Council at the General Meeting on 13 February 2013, requesting Council give consideration to attending a study tour to USA & Canada, sponsored by Santos and Origin in conjunction with Toowoomba and Surat Basin Enterprise. The premise for the tour was that USA and Canada have had the impact of the Gas energy industry on their communities for many decades – as such, Council had an opportunity to learn and explore mistakes and successes that have occurred in other regions. It was also an opportunity to obtain first hand quality information from sources allied to Australian local government. At that meeting, Council approved the attendance of the Deputy Mayor (Cr. Wason) and Cr. O’Neil to attend the tour as nominated delegates of Council. 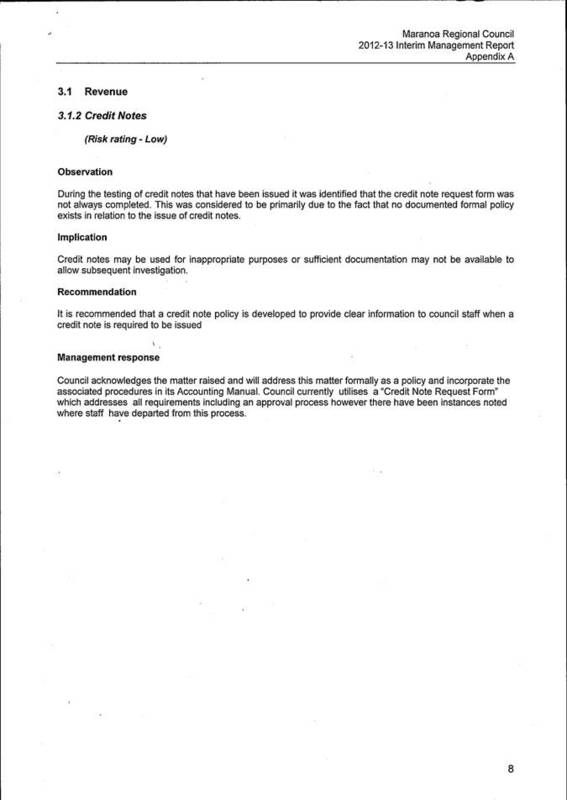 The tour was undertaken by Council’s delegates on 4 – 18 August 2013, with the findings and recommendations now put forward to Council for further consideration as detailed in the attaching report. 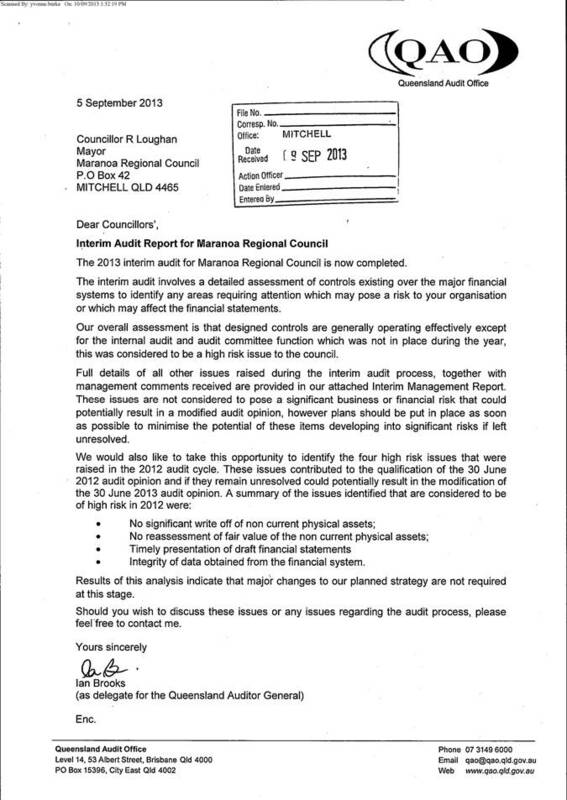 The recommendations would need to be further investigated by officer’s to identify potential financial implications to Council. The Maranoa Regional Council (MRC) is playing an increasing role learning to balance the fast moving resource industry with what has been predominately an agriculturally focused region. With this focus it was deemed incredibly important that MRC understand from an industry, region, country and community perspective, that have worked in this space for many years, what lessons have been learnt ,what they have achieved and what their community is like 30, 40, 50 years after the initial start of the resource industry.The Toowoomba Surat Basin Enterprise organised tour was for 14 days with key stops in Houston, Denver, Sheridan, Calgary, Town of Olds, Ponoka, Luduc, Red Deer and Edmonton. The future of our region is at the forefront of the MRC and the knowledge gained from learning from other regions across the world will provide MRC with the tool to get it right. · How do we determine co-existence? · Expectations of communities – how do we best engage and have communities trust the industry? · How do we educate the ‘rational / silent’ middle? · How do we plan community services to cope with population growth? · Are there examples of strategic alliances with environmental groups? · How do we deal with misinformation? · How do we grow/sustain economic benefits? · What do we do with equipment when the boom is gone? · Diversification of regional economy. · Ensuring resilience of small towns. · Are there lessons we can learn re: ‘local content’? · Attraction for families to lessen FIFO. · Are there lessons we can learn with the engagement of the aboriginal community? · Shared and/or beneficial use arrangements. 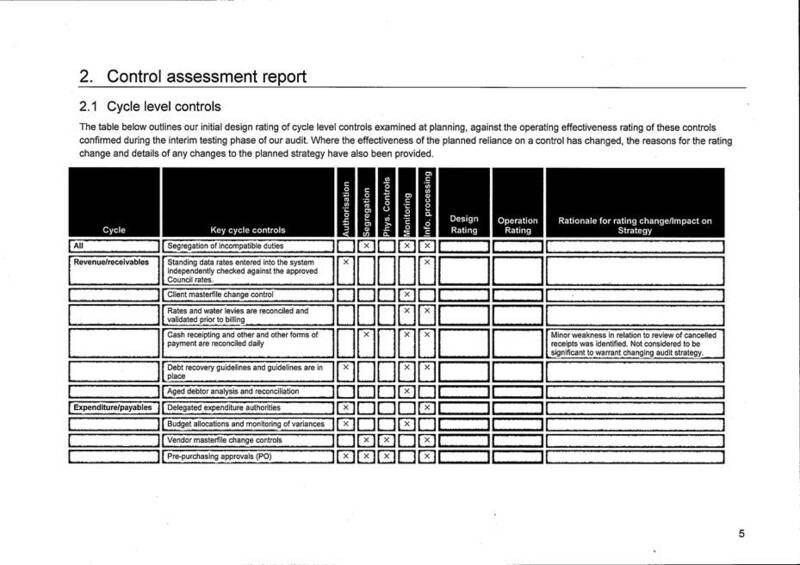 Over the course of the tour three key recommendations were identified for further investigation for the MRC. 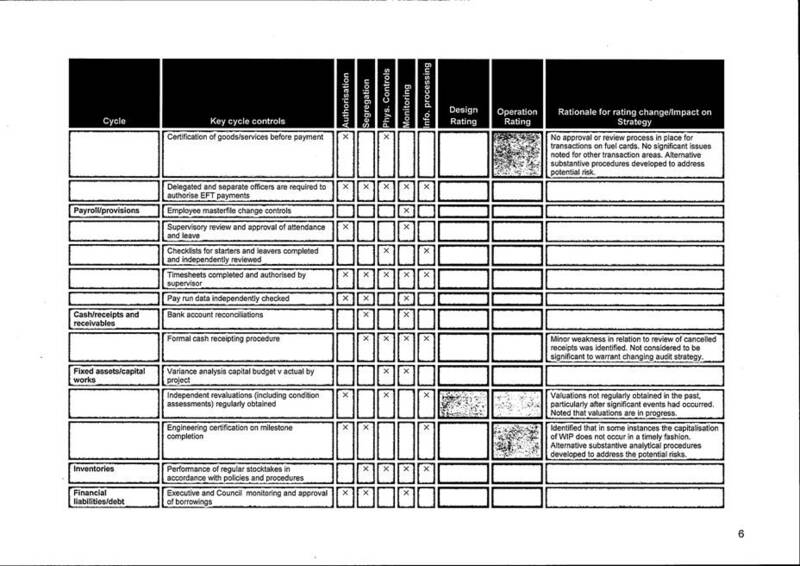 While each recommendation is identified individually there are some very clear and significant synergies between all. 4.1 The development of a high quality training hub in the Maranoa. The delegation toured two very unique, well invested, yet individual training facilities in Canada. The first, SAIT College in Calgary is a state of the art multimillion dollar, philanthropically funded training facility. This facility is tailored to the new and emerging advances in the technologies associated with the oil and gas sector across Northern America, Canada and the world. The second facility outside of Edmonton in the industrial region of the county of Luduc is centred around the hands on experience with ‘working’ gas wells. This particular facility boasts the ability for students to undertake training with all the equipment that would be used in the field without the added pressure of potential errors having dire consequences. Both of these training facilities have added to the sector, community and economy of the regions in which they are located. In addition to the two industry specific training facilities the group also toured Olds College in the town of Olds which have diversified the curriculum streams to include both agricultural/animal science and oil and gas related programs. · The facilities and courses/programs offered across America and Canada are yet to be realised in Australia. · There is a mixture of online and in-house courses. Given the findings of the tour there is real scope for training and education facilities on a similar level to Canada in Queensland, with further scope for the Maranoa region to be the home to such facilities. The future of the industry is medium to long term and now is the time to explore an opportunity for the Maranoa to become the training hub of the State, creating jobs and security for our community going forward. 4.2 Development of economic strategies to diversify the region’s industries, ensuring a maximum benefit for other key industries (such as agriculture, tourism and aviation). From these discussions it became incredibly clear that for a community to gain the benefits of having the oil and gas industry there needs to be a high level of integration from existing industry sectors along with evolving new players in this area. The tour visited communities that have experienced the ‘boom and bust’ of the oil and gas industry which is often labelled unfairly, through to communities that identified the need to embrace the developments to ensure long term sustainability for their region. As the Maranoa region continues to experience the increased speed in which the gas industry is working at, it is clear from participating on the tour, that there is a window of opportunity for our community and region to further work towards our sustainable future, but time is of the essence. It was the communities that diversified and attracted new industry to their towns that have endured the long term benefits of an integrated oil and gas sector or of a diversified industry that value adds and buffers the ‘slowing’ of the oil and gas sector. In the Maranoa there are two stand out assets that need to be further realised as key players in attracting and value adding to our communities, where jobs can be created and buffering for now and into the future as the oil and gas, in time to slows. The Roma saleyards and surrounding precinct is one significant asset, it can play a role in attracting subsidiary businesses such as meat works, tanneries, livestock hubs through to training facilities for TAFE, Agricultural colleges or Universities. The master planning that council has commissioned is the first step in realising the investment needed to ‘best use’ the facility. The next step is the modification of our economic development direction to market and attract industry to the site. The second major community asset is the Roma Airport and surrounding land. With multi-million dollar investments into this facility in recent years and a further commitment of expanding the terminal to accommodate increases in patronage this financial year, this asset has fast become a major player for the region. The Roma airport has become a state of the art regional airport that would be ideal for small to medium sized aviation and aviation aligned businesses. 4.3 Building international economic development partnerships with the Town of Olds and Mountain View Country, Alberta, Canada. Over the course of the tour the group visited a number of local governments, known as municipal and county councils. There was one stand out region which includes the Town of Olds Municipality (population of 8,235) and Mountain View County (12,359). This region is centred approximately 95kms north of Calgary and 217km south of Edmonton, the state Capital of Alberta, Canada. The town of Olds was constituted in 1905 and since then has been surrounded by both the agricultural and oil & gas industry. Both of which have integrated well into this picturesque region nestled in the foothills of the Rocky Mountains. The Mountain View county and Olds regions demographic are very similar to the former Roma and Bungil Shire areas, with the Oil and Gas sector having played a prominent role for much of the last century in this part of Canada it was comforting to learn that this community is still dealing with, and working through similar issues to the Maranoa Region. The town of Olds is home to the world renowned ‘Olds College’ a college centred on educating the next generation in the fields as diverse as agriculture to trades through to fashion and business. Given the connection in relation to approximate size, distance from major cities, rural sector, mining sector and communalities in running regional councils there are real advantages to opening up a more formal relationship with both Mountain View County and Town of Olds city council. 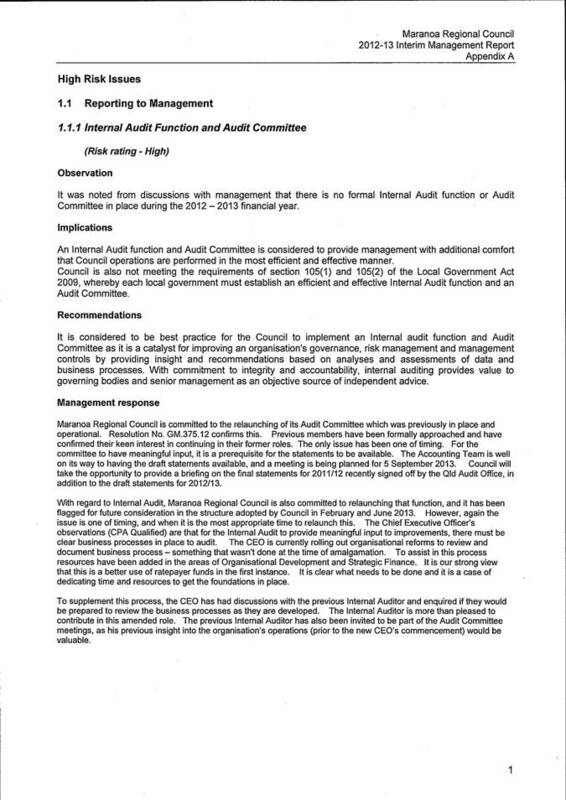 With local government elections scheduled for October 2013 in Canada the recommendation would be best investigated with the returned/incoming local administration. The future is bright for the long term sustainability of the Maranoa region if there is a focus on balancing established industry with emerging industry. Given the fickleness of politics it is just as important to address today’s concerns with tomorrows unknowns. It is very clear that while the gas industry is here in the Maranoa region our community has a real opportunity to learn, develop, create, and implement programs, policies and strategies that will have long term outcomes for the region. The timing is now to work collaboratively with all facets that make up the Maranoa region be that local business, industry, government and community to achieve the overall goal of creating a sustainable community for the coming generations. The TSBE tour broke new ground in bringing together a diverse group of community and business leaders from the sectors of the Surat Basin and Maranoa Region to learn from an equally diverse yet somewhat more mature oil and gas sector. It is the findings of the tour albeit individual and collective that will shape the future of our respective organisations into the future. Representatives of Ostwald Quarries Pty Ltd met with Council representatives on 24 September in relation to this matter. 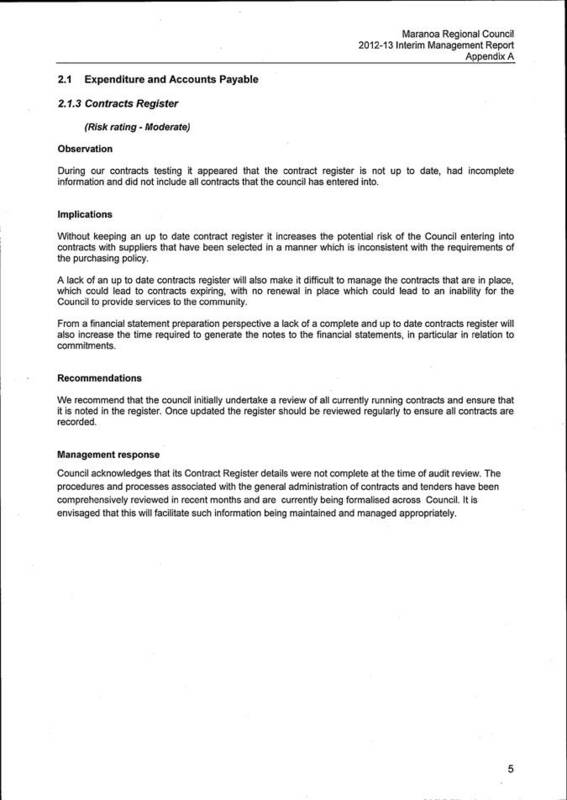 After having explored other options, they are now wishing to seek to return to Council’s resolution of 24 April, 2013 and be part of the community consultation process. A letter is included by way of attachment. Discussions are being held with the relevant planning staff prior to the Council meeting, with an update on the implications of the timeframes to be available at the meeting. That the matter be considered. 1. 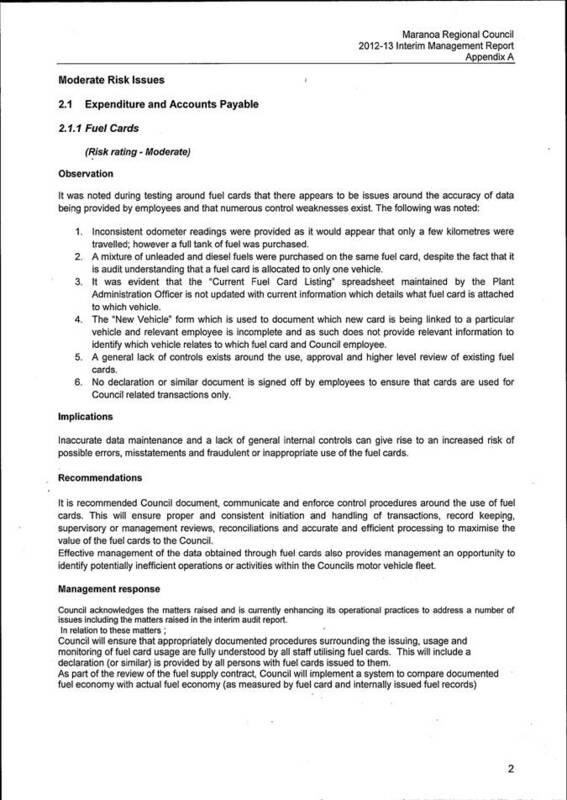 That Council consult with the local community to ascertain if it will not object to the proposed use of East Street for a maximum of an additional five months (one month of the five months has already elapsed) by trucks carrying quarry material from the Ostwald Bros quarry on Swan Road. The attached letter provides a commitment to cover the costs of community consultation up to $5,000.